At AG Consulting Partners, it is our mission to transform our clients’ businesses by delivering game-changing results. To accomplish this pursuit, we couple our deep industry expertise with a highly collaborative, customer-centric, and flexible approach. Our direct, personalized, and no-nonsense consulting method keeps our clients returning to us to solve their toughest challenges. Here, we’ll dive into what you can expect when sitting down with us to assess your business needs. 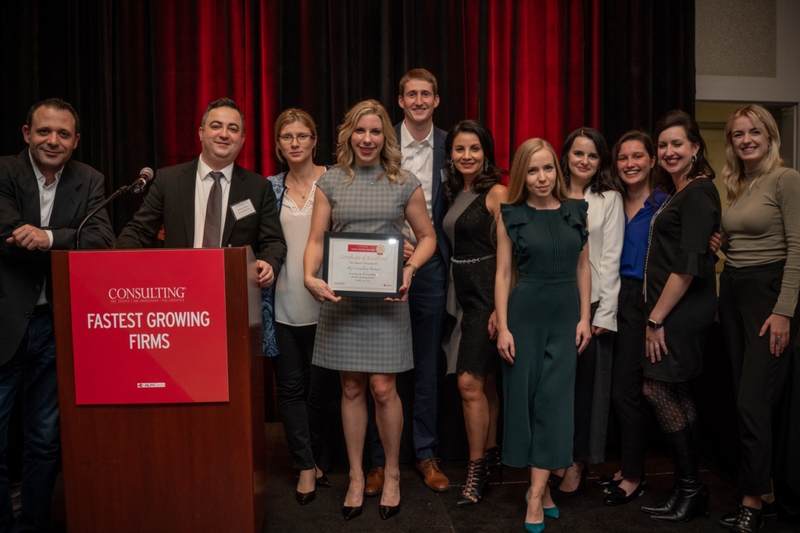 The team was excited to receive Consulting Magazine’s award as 18th Fastest Growing Consulting Firms for 2017. Our consulting experts bring maturity and experience to fully understand the client environment. With a range of expertise in channel, customer experience, sales, and marketing strategies, we bring extensive industry knowledge to every engagement. Our programmatic approach gives clients time to think, make decisions, build teams, and consensus to ensure robust strategy and project implementation. Projects may experience roadblocks or hurdles, but our consultants work with clients to address these challenges head-on with thoughtful and direct input and solutions. When faced with timeline or budget constraints, our flexible approach balances the client’s needs with his or her resources. Our senior consultants and experienced program managers help answer the toughest strategic business questions and lead agile teams in the design, launch and execution of a project. Together with our clients, we explore creative approaches to reach the best solution. We identify opportunities across people, processes, technology, and data to optimize our client’s outcomes. Then, we tailor our planning activities to enable smooth adoption of our custom strategies. AG Consulting Partners is dedicated to client success. Our job is to create lasting and scalable solutions that continually exceed our clients’ expectations. That’s why we go to great lengths to make ourselves transparent and flexible to foster personal client relationships.